If you've got a family that doesn't like fish, here's a fish dish for you. 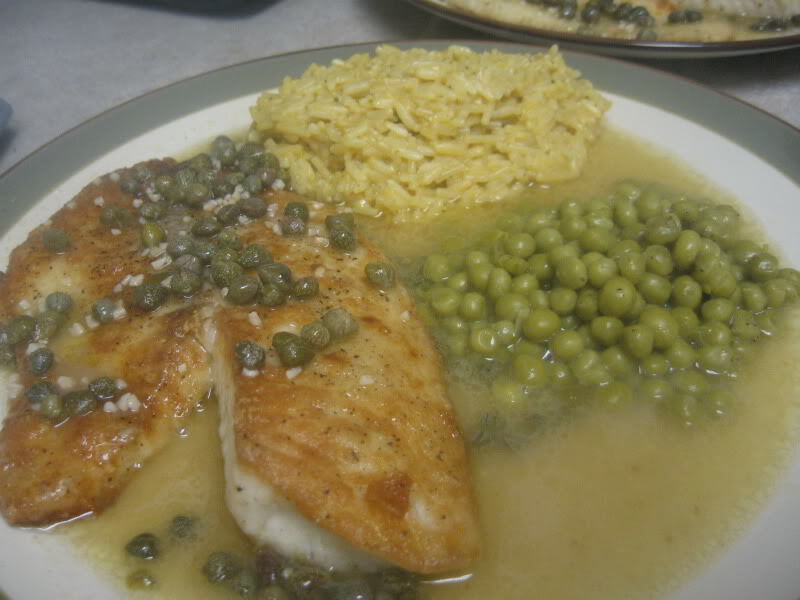 The tilapia has a mild taste to begin with, completely overridden by the delicious tastes of garlic and capers. Place flour in a shallow dish. Season fish with salt and pepper and dredge in flour. 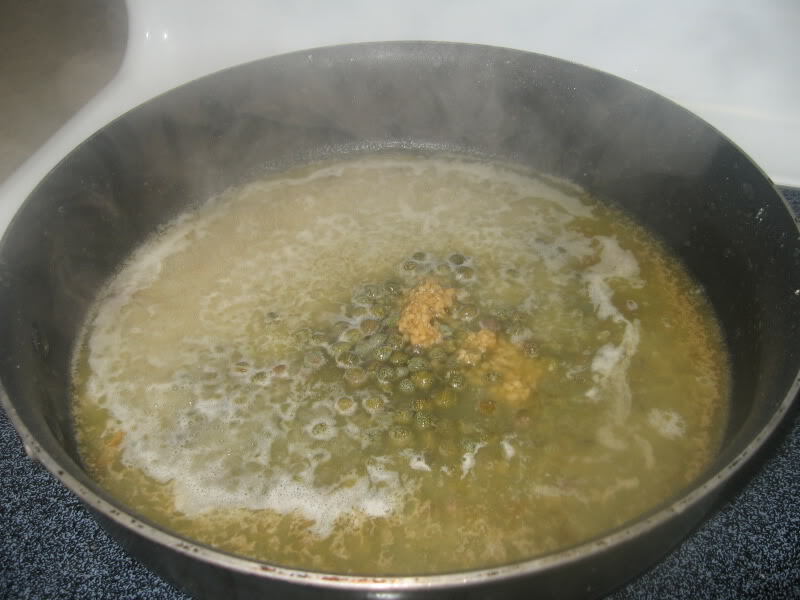 Heat oil and 2 tablespoons of butter in a large skillet over medium-high heat. 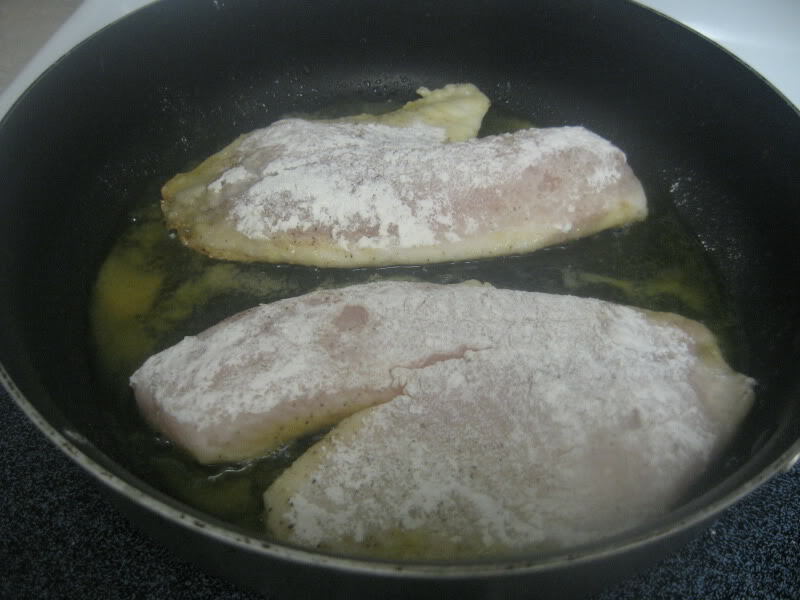 When butter starts to turn nutty brown, add fish; fry until golden brown, about 2 to 3 minutes each side. Transfer fish to plates and cover to keep warm. Add wine to the hot empty skillet and using a spatula, scrape any browned bits from the bottom. Let the wine reduce by half and then stir in the garlic, remaining butter and capers. Let sauce simmer for 1 to 2 minutes to blend the flavors. Looks good! 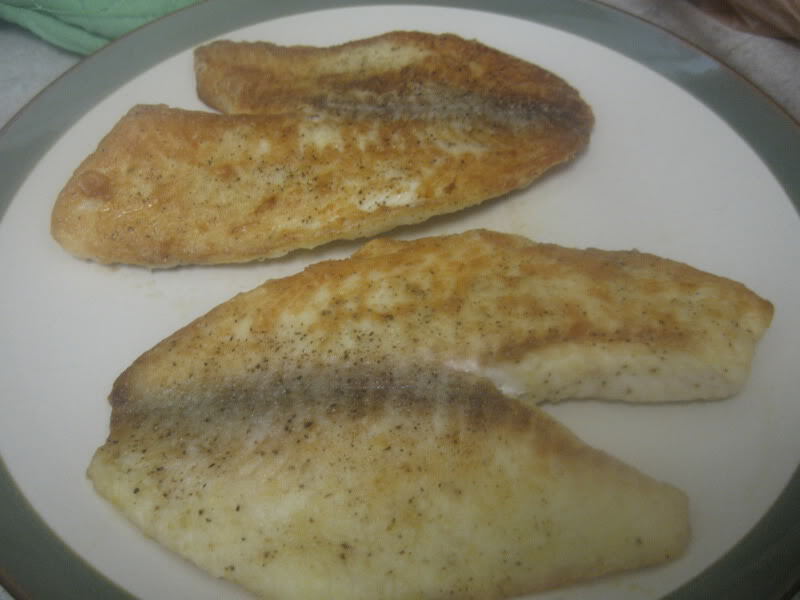 I've been digging Tilapia lately. It's cheap (becoming more and more of a selling point in our house lately...) and seems pretty fool-proof. I haven't had a Tilapia recipe backfire yet!